We’re very proud of our team here at Clarks Pharmasave. 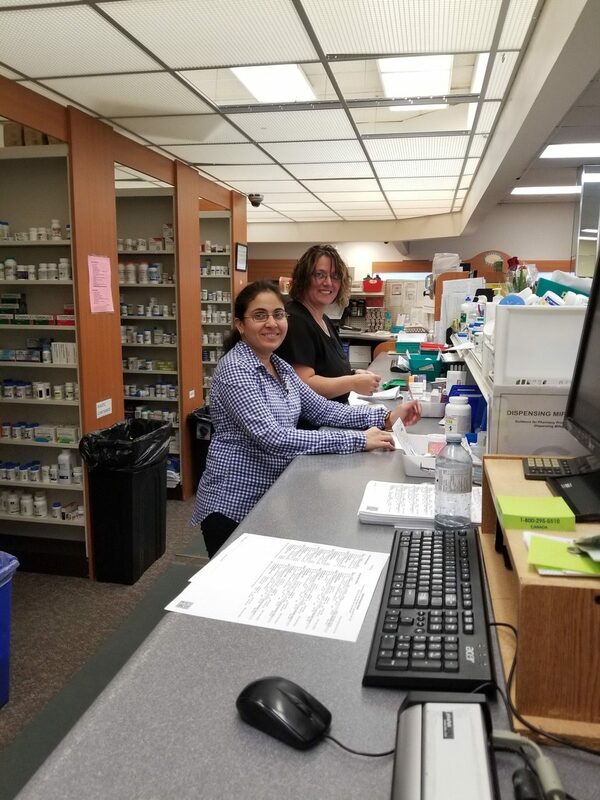 With three busy community pharmacies in Simcoe, we aim to provide a friendly, professional service for all our customers, whether they need prescriptions, supplies or just advice and information. We are a close-knit team, and we pride ourselves on our exceptional customer service. Whether you need some advice on what product to buy, or just need to pick up a prescription, the front shop team will be happy to help. We are a community pharmacy and we aim to serve anyone and everyone in our community, from the very youngest to our senior seniors who may need a little extra time and help. Clarks Pharmasave in Norfolk St. Simcoe is an ADP approved organization. So, if you qualify for the ADP scheme, you can buy your assisted devices, walker or wheelchair from us with a 75% discount. Our Home Health Care specialist will be happy to help guide you through the ADP scheme and work with you to choose the right assisted aid for your needs. 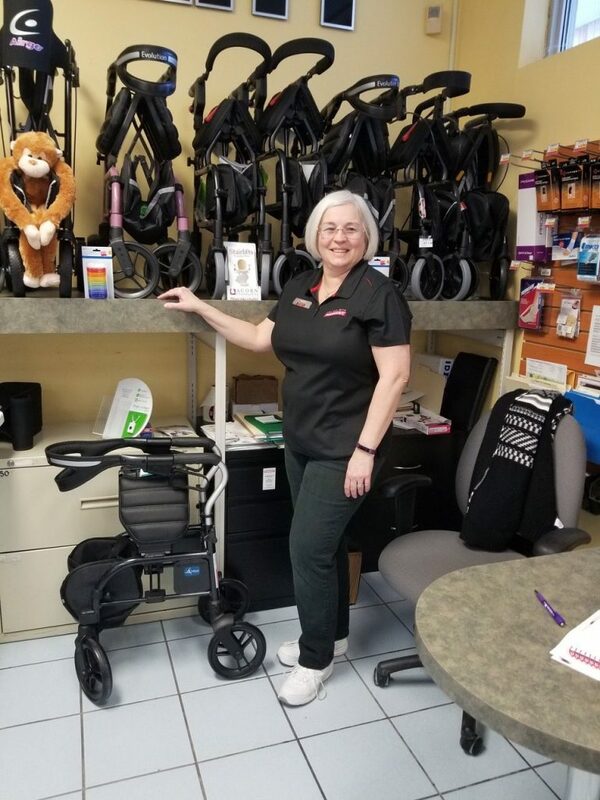 She can also assist you with the fitting of arm/wrist/leg/knee braces, and provides expert customer service for Sigvaris medical compression hosiery. At Clarks Pharmasave in Simcoe, we run various wellness clinics including one for weight loss management. These clinics are run by our Natural Health Consultants, who have a wealth of knowledge and advice related to supplements, herbals and homeopathic support. Our Consultants also offers weight loss and nutritional coaching, including the Ideal Protein Weight Loss Protocol. Our Natural Health Consultants can also guide you through our range of natural health personal care products, such as popular DIY kits, and our aromatherapy range. Most pharmacies stock cosmetics, but few have an offering quite like ours. Our staff bring over 40 years of experience to the team and ensure we stock only the very best cosmetics, fashion and giftware. 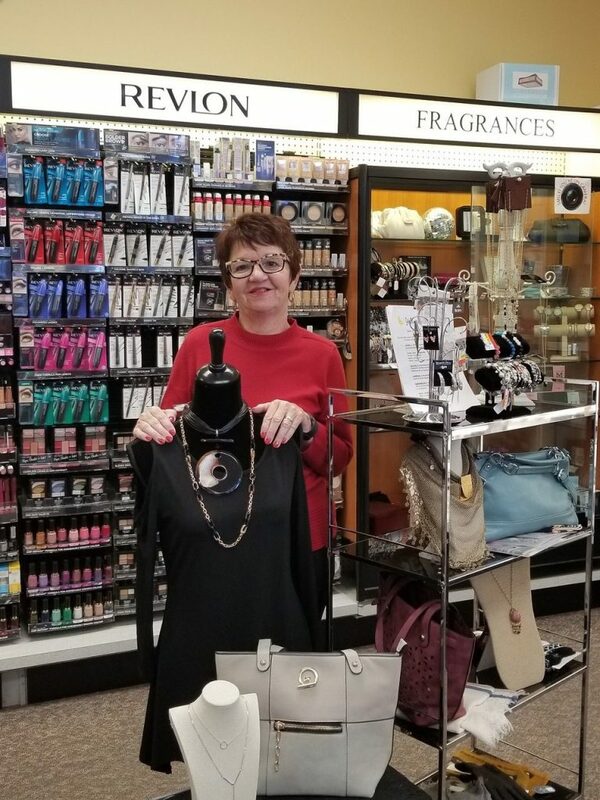 We offer personalized shopping for all our customers, ensuring your cosmetic choices are just perfect for you and your desired look. At Clarks Pharmasave, we take our role as a community service very seriously. Every year, we donate to local charities and causes in the Simcoe area. For more details, contact the store. As part of our sterile compounding service, we provide IV therapy related to a LHIN contract for Norfolk and Brant counties. We also provide sterile compounding services for ear and eye drops and many other formulations. If you would like to discuss the benefits of compounding for IV care, do contact us, or talk to your physician.